My review of Johns Hopkins University is perhaps the most difficult for me to express objectively. I spent three and a half years as a student, active in several campus organizations (I was editor of the yearbook, a member of a sorority, a peer counselor and a tutor for an inner-city third grader), and in the many years since I graduated, I have been a very active alumna (I served as president of the Los Angeles alumni chapter, on the national Alumni Council and am active with several committees). I also interviewed JHU applicants as a volunteer for 15+ years. The new Brody Learning Commons brings natural light into a four-story atrium with group working spaces. The Humanities are strong and thriving at Hopkins. The Writing Seminars program is a top-tier program; writers from all over the world come to Hopkins to hone their craft. The Art History department is small but mighty, also top 3 in its field. If archaeology is an interest, Hopkins is the right place for you: Near Eastern Studies department chair Betsy Bryan has her own dig site in Luxor, about an hour’s flight away from Cairo. Dr. Bryan teaches courses in the fall, then takes both graduate and undergraduate students with her in the spring to dig and catalog their findings. Hopkins also has an archaeological museum in the basement of Gilman Hall. Yes, the natural sciences and engineering are strong at Hopkins. 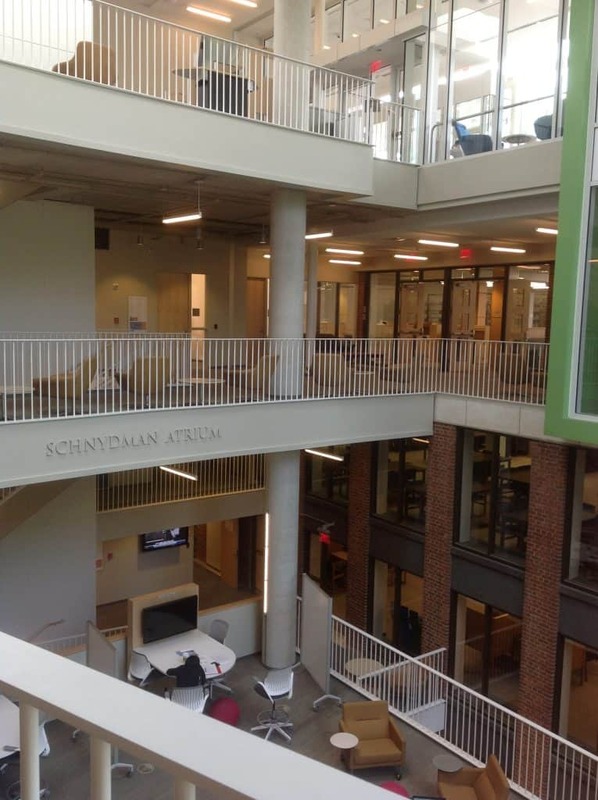 And yes, students will have the opportunity to do research as undergraduates – as freshmen – and could find themselves hopping on the shuttle to East Baltimore, where the JHU Hospital, School of Medicine and School of Public Health are. When I did college fairs for Hopkins, I was frequently asked if Hopkins Med gives preference to Hopkins undergraduates in admissions. The simple answer is yes. The reality is that JHU Medical School accepts about 120 new students each year. 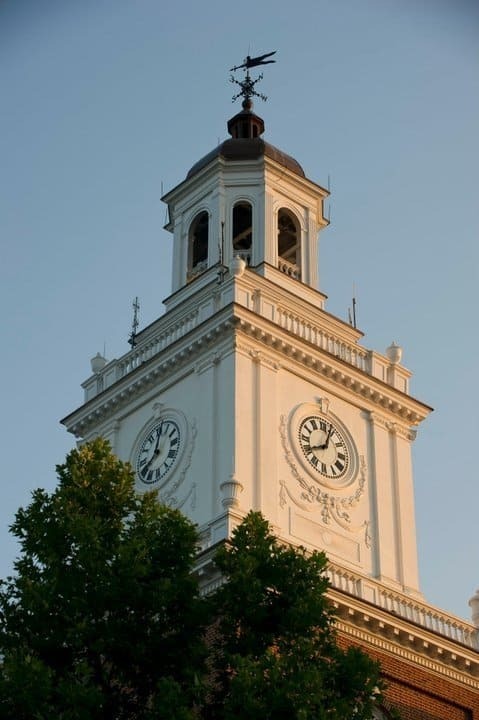 About 10% of that class – 12 students – did their undergraduate degree at Hopkins. That’s about twice as many as are accepted from any other college – but it’s still just 12 students! The better answer is this: every medical school in the country knows that someone who graduates from Hopkins is prepared for medical school. That’s why Hopkins’ medical school acceptance rate is significantly higher than the national average. 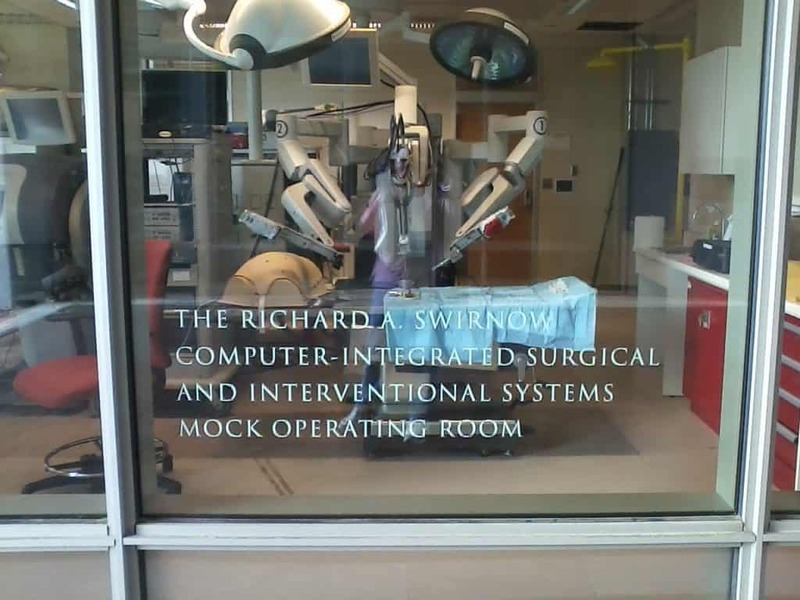 This mock operating room is on the undergraduate campus. 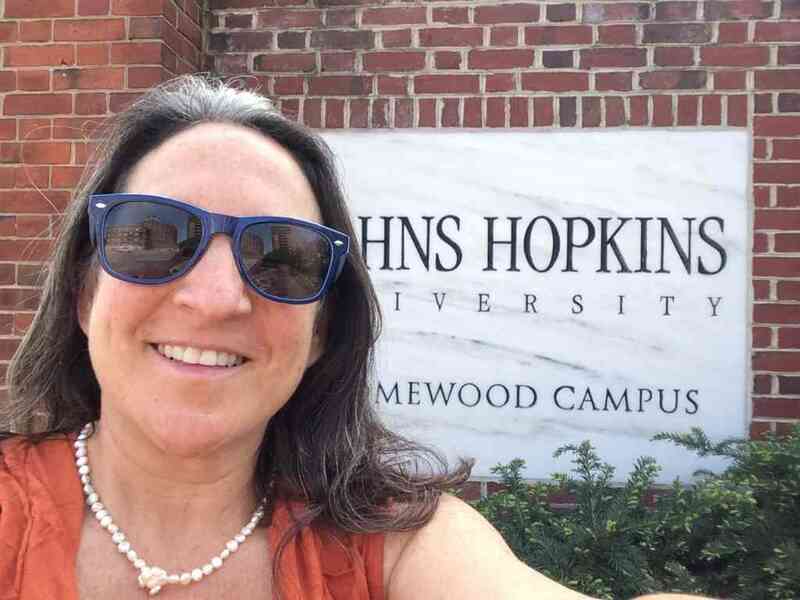 The undergraduate colleges of Johns Hopkins University sit on 140 acres that originally belonged to Charles Carroll, a signer of the Declaration of Independence. Most of the architecture on this campus follows the Georgian style, and the original Carroll home has been restored and is now the Homewood Museum (more campus history here). The Baltimore Museum of Art, home to the largest collection of Matisse in the world, sits on the corner of the Homewood campus. You can scroll through all of my pictures of Johns Hopkins from many visits through the years below.